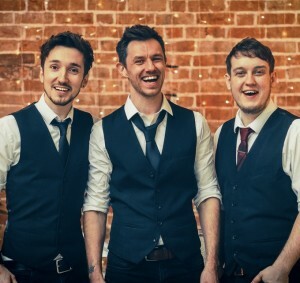 We're a Dorset based band who specialise bringing our energetic and lively brand of music to Weddings, Corporates and Private events, both in the UK and Europe. We pride ourselves on being able to play the very latest songs to keep our sets as fresh as possible, and mixing those with some of the biggest hits from the last 50 years... Generally the ones that just fill a dance floor in seconds. At the heart of it, they're 3 friends doing what they do best! Passionate and professional - these guys never fail to deliver a top notch show, and their client feedback speaks for itself! 3 full-time musicians, each with over 15 years experience in the industry. From their roots writing original music, to touring the UK and Europe, playing the national theatre circuit in a number of successful productions, and now being in one of the souths busiest party bands - the guys have travelled far and wide honing their craft and sharing stages with a number of chart-topping acts along the way! Their onstage chemistry can't be faked, and comes from years of playing music together and many miles travelled - the same chemistry we see in many of rock music's most legendary acts! The atmosphere and energy at a Generations show is hard to be beat and these guys are masters at working the crowd and keeping the dancefloor packed! The guys are organised, professional and flexible with their bookings. The show can be anything from full party mode with lasers and lights, to intimate and classy with fairy lights and acoustic guitars! Set list and DJ playlist will always be tailored to the clients taste, where possible. The Generations were absolutely fantastic! 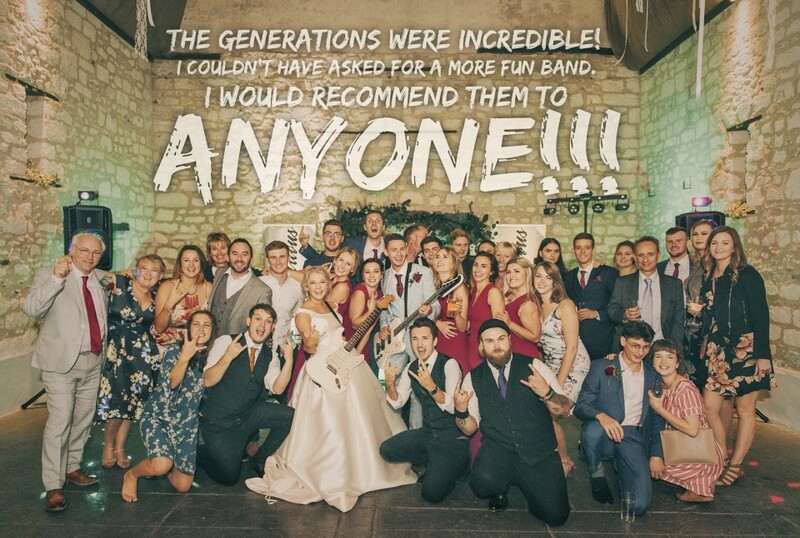 I would definitely recommend them and use them again for future events - they were professional and really got the party going! The Generations - based in Dorset and a Warble Entertainment Agency act.